Can “tripping” cure depression? Can taking ecstasy heal PTSD? Can LSD reduce chronic anxiety? This article explores the use of psychedelics to treat mental illness. Read on to find links for more information, as well as how to enroll in FDA approved clinical trials. #1: Why Is This Patient Smelling Music? #2: Does Childhood Abuse Prevent Weight Loss? I’m hoping for a good discussion here. What are your thoughts, experiences and ideas surrounding the use of psychedelics to support treatment of those with mental illness? 2. Pollan, M. (2018). How to change your mind: What the new science of psychedelics teaches us about consciousness, dying, addiction, depression and transcendence. Penguin Press: New York, NY. 3. Will These Psychedelic Drugs Soon be Legal? I do appreciate your comments though I wish you had read the article more carefully. I very clearly stated that I'm not advocating for the illegal use of drugs. I'm advocating to let our patients know that these trials exist and that these treatment options are becoming available. FDA approval means that a drug has been approved for legal use for the treatment for which the drug is intended. I suspect that guiding patients toward research on hallucinogens and currently-illegal psychotropic drugs may be both a little premature and possibly out of our scope, as Here.I.Stand mentioned. For one, most of the studies on these drugs have had relatively few participants and have not been repeated or verified. It is difficult to draw firm conclusions from them, given these limitations. Patients are seldom well-versed in interpreting medical research and studies, and those exceptions who are likely don't need the nudge to start looking. The difference between a nudge and an endorsement is pretty fuzzy. 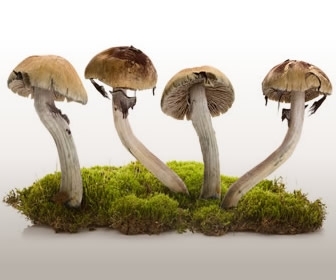 In 51 patients with life-threatening cancer diagnosis, one-time high-dose psilocybin was associated with depression and anxiety symptom remission of 71% and 63% respectively 6 months after administration, with no serious adverse effects. On the one hand, one could certainly quibble with the study's results on the basis of possible self-selection bias among participants, small sample size, or the somewhat unorthodox control group. But on the other hand, if some new anti-depressant achieved similar results in a clinical trial, it would be generating a whole lot of buzz. If nothing else, we should be clamoring for larger trials. Well said. I'm an oncology nurse and I come from the perspective of sharing knowledge with patients about available clinical trials. I think you make a good point about the difference between advocating to the patient and simply passing along information -- though that is murky as well, since nurses are so trusted...when I have passed along info, I have always done it with the permission of the primary caregiver. perhaps I should have mentioned that.. I really appreciate your perspective of moderation and healthy skepticism. Advocating for larger clinical trials is definitely needed, but larger trials mean a need for more participants. When I wrote this article I was thinking of the folks with treatment resistant depression we have lost to suicide. I get pretty passionate about them and I can lose perspective. Thanks again for your comments. angeloublue22 has 7 years experience and works as a RN. I'll say it since no one else did. Thank you for the information because you are just trying to educate, so I'm not sure what all the negativity is about. I've also had some interest in this field. I'm a mental health/addictions nurse and there is definitely some promising information coming from this alternative approach. Hopefully, we can get more research going and possibly give another avenue for wellness for a our clients. Not all hallucinogens are illegal in this country (and others). Do a little research on protected hallucinogenic use for religious ceremony. Major work is being done with Ketamine and some analogues to treat depression, with good results. The biggest inhibition to that research has been interference from "law enforcement" agencies in the practice of medicine. Protesting that research will put you on the side of our Calvinist theocratic approach to medicine and law. Humans have been treating themselves with psychoactive drugs for millions of years because they (apparently) gained benefit or saw the need. The "because it's illegal" approach to this argument is just a non starter. Not only does it not explain anything, it doesn't solve anything. Research CAN solve things. Putting a whole class of substances on a "forbidden list" CI, and enforcing draconian penalties against their use, is just dark age ignorance. That and the fact that the first thing the US government did when they noticed "acid" was try to weaponize it and when they found that problematic they made it illegal. Sheesh. Great article-I, too, am an Oncology RN. I've been interested in this topic for years, for patients, and for personal reasons. I've watched documentaries and read numerous articles on psilocybin. Although the research--trial size, etc has been limited, it is noteworthy the significant positive effects this drug in particular has on chronic refractory depression. Just because pharma can't benefit from it, there will be more of a challenge to get more studies funded. I hope to see this in my lifetime, as the current treatments are lacking. How many veterans do we lose every day to PTSD? If there's something, ANYTHING out there that could be promising, GET ON IT, US! I so appreciate your comments! You've definitely grasped what I'm trying to say. I'm so passionate about making patients aware of their options. I don't think many people with treatment resistant depression are aware of these studies - hopefully we can spread the word and save some lives. The studies on ketamine are truly exciting. I have a friend who is getting injections for chronic pain from Ehler's Danlos syndrome, and I know another person who is getting injections for depression with suicidal ideation. Thanks so much for bringing it up. Thank you for reading and for commenting. Mental health/addictions nurses really see it all. Thanks for what you do - you are a true hero!